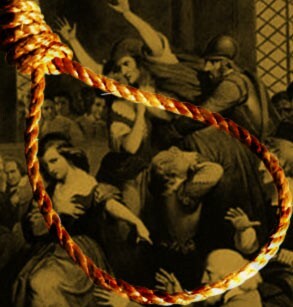 The Salem Witch Trials remain a hideous--yet disturbingly familiar--mystery. By Laura MillerNorton (who writes that she began her history expecting to advance another feminist interpretation) offers the theory that the Trials were a displaced response to the trauma of the Indian Wars on the frontiers of the British settlements in New England. She traces the connections the various participants had to Maine, the location of some especially bloody conflicts with the Wabanaki tribes and their French allies. Today, knowing as we do that the Indians would ultimately lose everything, it’s easy to forget how fragile those early British settlements felt to their residents, especially in 1692, when it seemed that the Indians and French were enjoying “continued and seemingly unstoppable successes,” and the Indians were boasting that they’d soon have the continent to themselves again. Norton traces some of the hideous spectral visions of the afflicted (witches were seen roasting human beings on spits, for example) to reports of similar Indian atrocities. Some of the afflicted girls saw friends and relatives tortured and killed before their eyes and were forced to become servants when they lost everything after Maine homesteads were attacked and had to be abandoned. Norton insists that revenge against the leaders who failed to protect them must have at least unconsciously motivated the afflicted girls. (Two of the high-status men accused were the reverend of a Maine congregation and a naval captain said to have sold arms to the Indians.) The judges and clergymen who accepted the girls’ accounts were eager to blame their inability to defend their people on the evil designs of Satan, who was said to have sent both the Indians and the witches to destroy the Christian enclave of New England. It’s a persuasive argument, even if Norton does wind up pushing it too hard. She’s more convincing when she’s merely asserting that “the conflict created the conditions that allowed the crisis to develop as rapidly and extensively as it did,” than when she appears to be presenting the Indian Wars as the primary cause of the crisis. It’s easy to see how the threat at the frontier and the lack of clear-cut authority at home (Salem Village—now the city of Danvers—was still unhappily dependent on Salem Town, while the very governance of Massachusetts was in flux at that time, awaiting a new charter from London) made the prevailing atmosphere jumpy and irritable, a feeling the youngsters no doubt picked up on even it they didn’t entirely understand it.Comment: The trials happened only 16 years after the colonists fought King Philip's War in the same area. Indians were the main external "threat" throughout this period. I wouldn't have thought of it, but upon reflection, it may well be that the trials were related to anti-Indian hysteria. For more on the subject, see Barton Lies About King Philip's War and Outcome of After the Mayflower.